Tottenham Hotspur beat top flight Bristol City on their Continental Tyres Cup debut, Sunderland beat Durham in a shoot-out, while Watford won for first time this season. 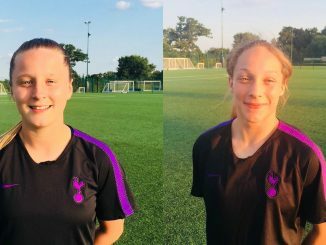 Goals from Lauren Picket and Bianca Baptiste saw newcomers Spurs see off WSL 1 opposition in Bristol City. 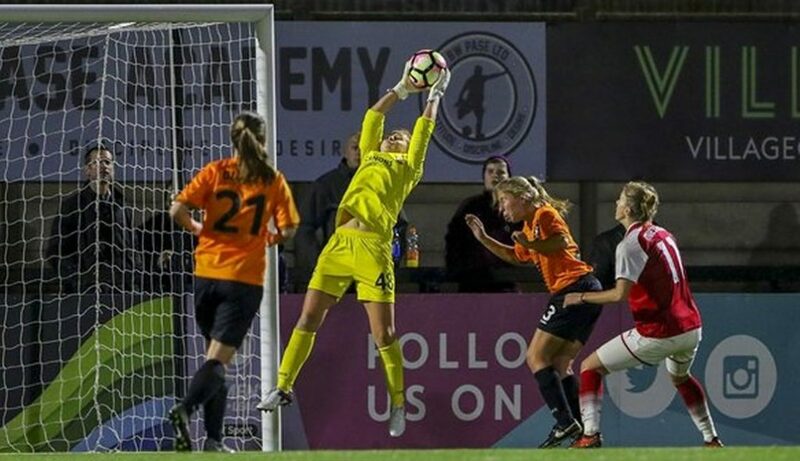 The Vixens made a number of changes from the side that held Arsenal in the league and found themselves behind 4 minutes short of half-time, Pickett pouncing to score after goalkeeper Aimee Watson kept out Lorca van de Putte’s attempted clearance. 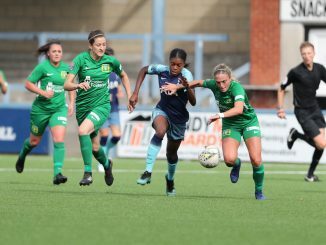 Baptiste doubled the lead halfway through the second half, latching onto Katie O’Leary’s perfectly-timed through ball before coolly slotting home past the onrushing Watson. Sunderland claimed a bonus point from their 0-0 draw at local rivals Durham, as a penalty shoot-out was required to separate the sides under new competition rules. Emily Roberts got through on goal for the Wildcats only to be denied by Rachael Laws, with Sunderland go close as Keira Ramshaw’s header was cleared off the line by Sarah Wilson and Simona Koren might have done better when dragging a shot wide. With Laws denying Abi Cottam at the death, Durham paid a price, in that Sunderland profited from penalties to bank the extra point. Everton ran out 3-0 winners at Doncaster Rovers Belles, having scored twice inside the first 25 minutes. Chloe Kelly nutmegged keeper Jules Draycott after just 6 minutes and although Jess Sigsworth then had a couple of chances for the Belles, an Everton corner was deflected into her own net by Leandra Little. In the last 20 minutes, Doncaster might have found a way back into the game but keeper Kirstie Levell was equal to Sigsworth powerful effort. 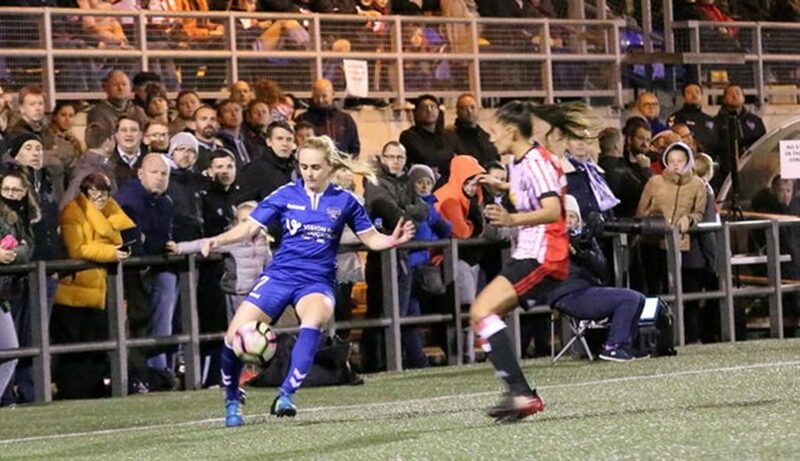 Simone Magill hit the post for the visitors and had another effort cleared off the line by Rachel Newborough, before substitute Marthe Munsterman thumped home Everton’s third from the edge of the box. Braces by Emma Mitchell and Beth Mead saw a rampant Arsenal sink London Bees 7-0. Lisa Evans opened the scoring and would have had a second but for Sophie Harris tipping her shot on to the bar, after which Mead struck the far post. Emma Mitchell slammed in a half-volley from 25 yards and then headed in a Jordan Nobbs’ corner minutes later, for a 3-0 half-time scoreline. Jodie Taylor came off the bench to net within 7 minutes and although the woodwork got in Mead’s way again, she successfully converted two penalties, with Louise Quinn then rounding off the scoring. 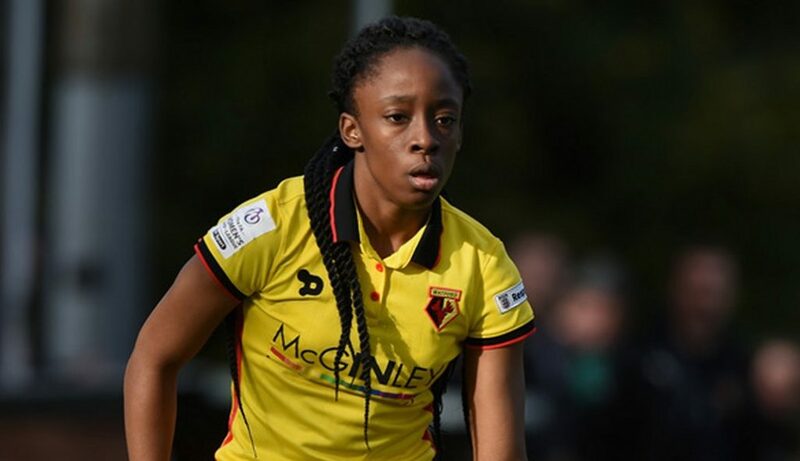 Watford gained revenge for a league loss at Millwall, as substitute Adekite Fatuga-Dada volleyed home for their first win of the season. The game was held up as Lionesses’ Rianna Dean needed lengthy treatment following a clash with Nat Murray. Hornets’ keeper Fran Kitching was called upon to keep out Ashlee Hincks’ looping free-kick, while at the other end Murray was thwarted by Sarah Quantrill. With 18 minutes to go, Anneka Nuttall’s free-kick was hit home by Fatuga-Dada from close range.